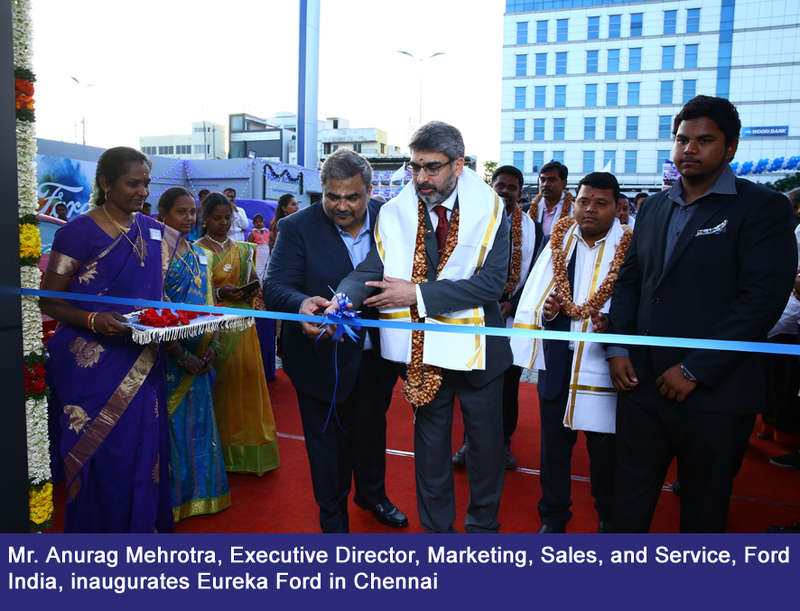 Committed to elevating the ownership experience, Ford India extended its sales and service network in Chennai with the inauguration of Eureka Ford’s showroom and service facility in Kandanchavadi. 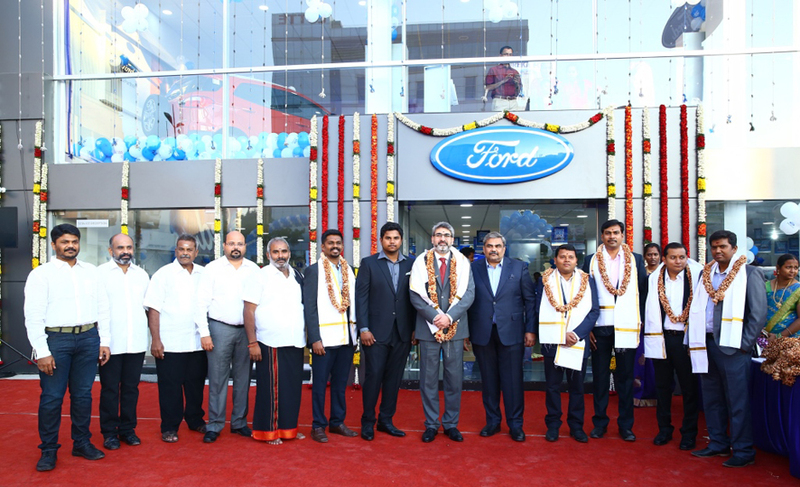 The new facility is the fifth Eureka Ford facility in Chennai the existing outlets covering areas Perungudi, Teynampet, Vadapalani, and Alwarpet till now. Led by Mr. Mani Sundhar, dealer principal, Eureka Ford, the new 3S (Sales, Service, Spares) facility is located at N.284, OMR, Kandanchavadi, and spread over 21,236 square feet with eight dedicated mechanical bays for servicing. The new Eureka Ford showroom in Chennai will showcase Ford’s most vibrant, feature rich and value for money product portfolio including the Ford EcoSport, Ford Endeavour, Ford Aspire, and the Next-Gen Figo. Living the promise of trust & transparency: Ford has introduced service price promise via the service price and parts price calculator on its website. The price promise allows the customer to know the cost of periodic maintenance or parts even before booking the service at a Ford dealership. Using the cost calculator, customers carrying the print-out of the web quote will get treated to complete trust and transparency at Eureka Ford dealership. Ensuring savings through sub assembly levels for repairs: For vehicles coming to Eureka Ford for servicing, the ‘Sub Assembly Levels for Repairs’ will enable a substantial saving in the overall ownership costs by breaking up an auto part into sub-components. Ford’s latest offering Figo Aspire offers unparalleled ownership experience with close to 850 parts available under sub-assembly. Competitive parts pricing: Ford has worked with supplier base to attain increased levels of localization on the products, thereby achieving competitive price points while maintaining high quality. According to the independent survey of parts pricing, Ford has been rated among the most affordable against a formidable set of competitors. Also, Ford’s customer-focused initiatives such as pan-India roadside assistance, quick service support, mobile service vans, vehicle report card is part of the process across a network of 376 sales and service facilities in 209 cities across the country.